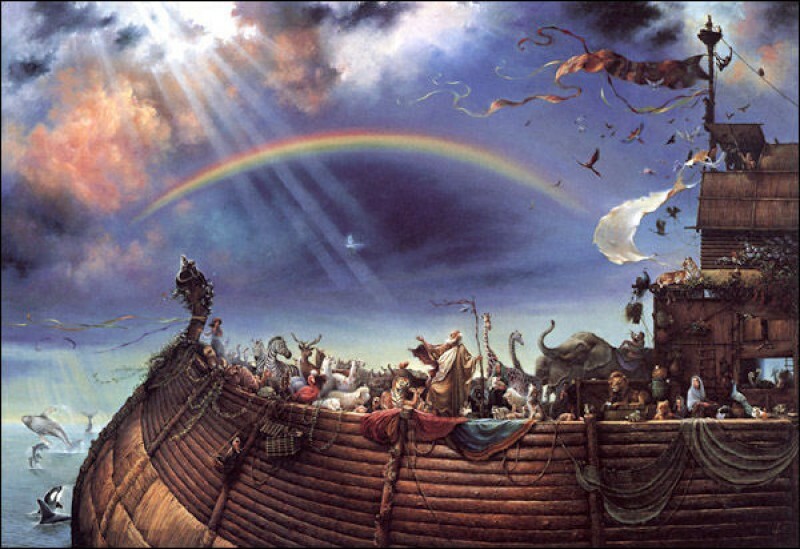 The Biblical Apocalypse of Climate Change Denial: Part 1 Noah’s Ark | Healing religious trauma. Awakening spirituality grounded in reality. The kind of apocalypse foretold in the Bible is really happening right now. No faith or deciphering of arcane prophecies is required of us. We need only step foot in Nature and listen to her cries, and the cries of scientists who cherish her, to see our extinction that is taking place; although soon this will become evident to climate change deniers and believers alike on the Day of Self-Judgment. Nothing short of an ecospiritual revival is necessitated, an experiential awakening to human nature and its connectedness to all nature, if life as we know it is to survive this generation. The trumpet call has been sounded: Noah’s Ark must be reconstructed in our hearts and world economies, the faithful must resist the Mark of the Beast of world orders which proclaim a seductive salvation that is their own demise. Biblical apocalyptic myths supply an ironically fitting symbolism for understanding the crisis taking place today, a crisis that has nothing to do with God and everything to do with human action. Judgment is coming, not from God but from our own hands and hearts which have fashioned delusional idols of economic prosperity forged in a furnace of spiritual slavery. The belief that gods and unseen forces are behind our salvation or destruction keeps us from seeing that we are the only gods to be reckoned with in this scenario. Each of lives as if god unto herself and not also to others. Love your neighbor if it serves yourself is the golden rule of the world economies of today, whether they hide under the banner of capitalism, socialism, or any other idolatrous guise. Our false prophets preach survival of the fittest to be empirical science, isolationist materialism a sacrosanct dogma, and destruction of human and ecological life a morally neutral necessity of existence. Human greed is a godlike wrath, an all-consuming fire that can only be satisfied with the death of our firstborn children. As we continue to amass wealth by building our economies on exploitation and rationalizing that’s just the way things work, we bring judgment down on our own heads swiftly. The blood of our brother cries out from the earth demanding a reckoning. “Am I my brother’s keeper?” is the tune we are singing to the earth’s destruction (Genesis 4:9). The prophet Noah was an example of ecospiritual renewal in the face of apocalyptic planetary flooding caused by a world economy of idolatry and greed, which is spiritual bankruptcy. The people of Noah’s time built their societies on the legacy of their forefather Cain, who gained material wealth by murdering his brother Abel. Noah was called to endure the persecution and ridicule of his generation, boldly proclaiming that sacred regard for all life is the foundation of economic and biological survival, and survival of the fittest is the surest path to death (2 Peter 2:5; Genesis 6). Noah’s ark was built firstly in his own heart and the hearts of his children. Noah experienced the voice of God, a voice that called him to the conservation of human and animal life. Noah understood that salvation could only be achieved by personal, radical, and immediate action. Human action was the cause of The Flood, and only human action could mitigate its devastation. The fate of Nature was bound up in Noah’s decisive action of building The Ark, because the fate of humanity and Nature are bound up together. In order to save the world from the coming Flood, each of us must hear the call of God, which is a symbol of the cry of our Nature. Unless this call becomes personal, it will never become global. The reason we are able to ignore Nature is that we do not experience ourselves as part of her. The Powers of This Dark World (Ephesians 6:12) have succeeded in accumulating wealth by separating Nature out of humanity. This is possible because materialistic science established the idea of a separate, spiritless self. Descartes and Enlightenment thinkers reasoned that the material world lacks subjectivity. Only humans are real, conscious subjects; the material and animal worlds function like a lifeless machine, devoid of subjectivity (“spirit”), driven by instinct. By means of the de-subjectivization of non-human and non-biological life, the ecology of the universe could be manipulated to suit humanity’s goals without moral consequence. But science demonstrates that our subjectivity originated in the singularity, the stars, the minerals and gasses that evolved into plants, animals, and humans. Life is a fragile, living and breathing system of interdependence, and destruction of the part is violence to the whole and all its parts.1 We have built mechanistic societies and dreams of what success means around the false prophesy that salvation lies in material objects and ideas devoid of subjectivity; the spiritual breath of morality, life itself. Building Noah’s ark means recognizing and repenting of the lies we have swallowed that harness objectification and violence to accomplish success. It necessities having experiences that connect us with nature, for our separation is not merely intellectual; it is a whole person, embodied experience of fragmentation and subjugation through de-subjectivization. Salvation requires building new Arks: economies that sustain life rather than exploit it and recognize the ecospiritual laws of interdependence and interspecies collaboration. The soul of our society must re-inhabit its economic body. The Day of Judgment is a terrifying warning, yet it also contains the hope of the Rainbow. Noah’s success of ecospiritual awakening-in-action was rewarded with Nature’s Divine Seal of protection. The Rainbow is the sign of a promise that the earth will never again be destroyed through a flood (Genesis 10-12-17). Let us refuse to surrender the promise of this symbol. Understanding that the God of the self-engineered crisis of environmental destruction is our own human actions, the Rainbow is a promise only we have the power to break or uphold. Andrew Jasko, M.Div., Psy.D. in progress, speaks about exposing psychological abuses within religion and reclaiming spirituality. 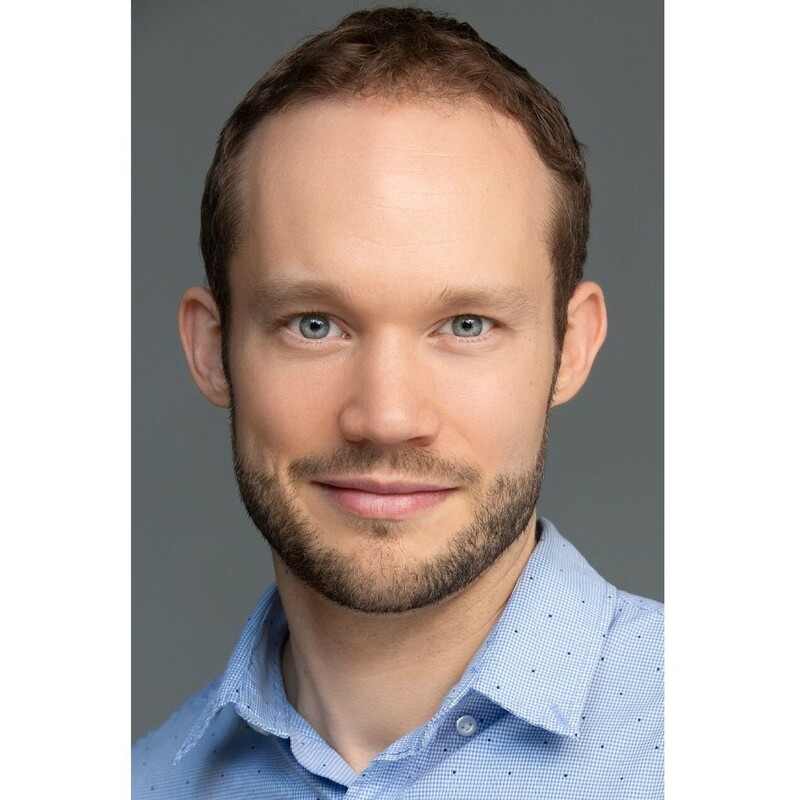 Jasko is a former minister, trauma recovery coach, and working towards his doctorate in clinical psychology. 1 Thomas, Swimme and Mary Tucker, Journey of the Universe (New Haven, Yale University Press, 2014), 105-107. Yes! Thank you for this, Andrew. And “survival of the fittest” is no longer even considered the major driver of evolution by those scientists who work in the path of Lynn Margulis and her symbiosis theories. Instead, it’s interdependence. That’s how nature works, and we, as a species, had better wise up. Do you think, from a trauma perspective, that having been exiled from “Paradise” creates a gaping hole we try to fill with material stuff? Does hearing that story of expulsion and alienation over and over as children take its toll? I’ve been finding Octavia Butler’s futuristic novels very moving especially in how she describes people surviving by building communities. Not technology, not being warriors, just regular people, surviving by working as a group.